I have been feeling a little world weary lately, so I decided to bake some cookies, despite the heat, to cheer me up. 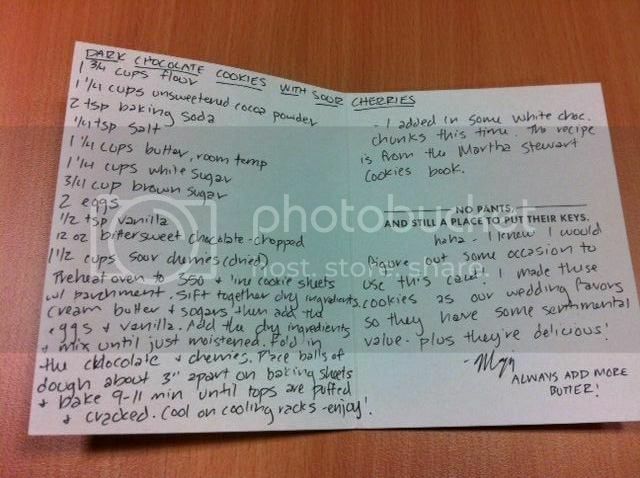 A little while back, I had seen some White Chocolate and Ginger Cookies on Patty's blog, Patty's Food, and printed off the recipe. I have also had the pleasure of meeting Patty, and I shared a lovely lunch with her when I was in San Francisco last year. How could you go wrong with white chocolate and crystallised ginger in a cookie? They sounded fab. Also, they are low cal - making them a guilt free treat in my book. I whipped up these cookies fairly quickly, and was surprised that I actually got 24 cookies, as the recipe states. Normally, I get more or less cookies than the recipe states, so these impressed me from the start. Now, if you are hunkering for a massive cookie to sink your teeth into, these are not it. 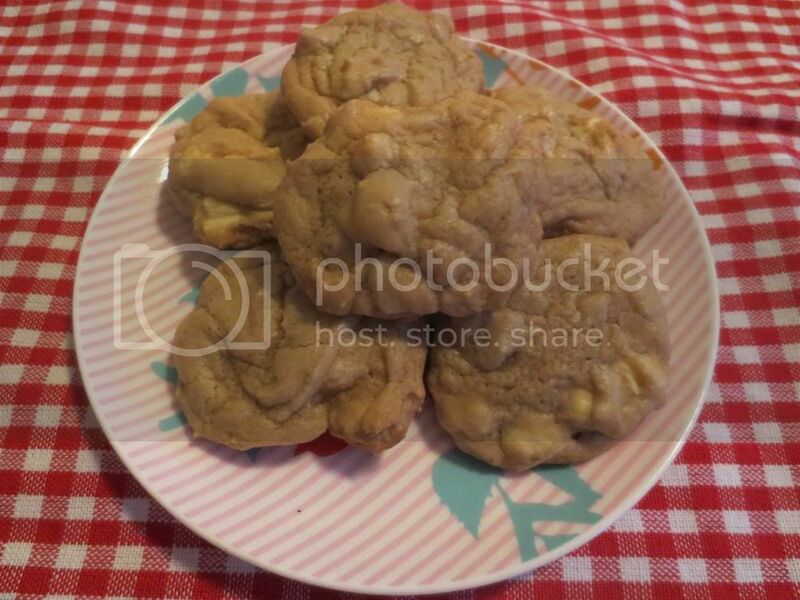 Only one teaspoon of cookie dough goes into each cookie, so these cookies are more of a bite sized delicacy than a man sized munchie. However, doesn't that actually mean you can eat more of them?? I really liked these cookies, and their Weight-Watchers friendly nature is a bonus for someone like me who expands on the sight of food. 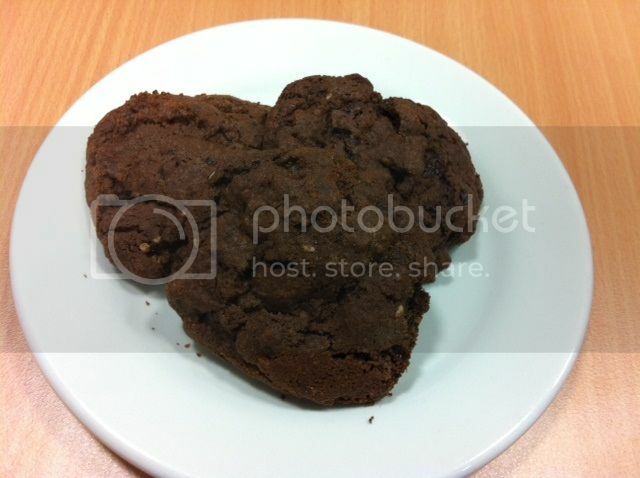 Thanks for sharing this treat with us Patty! Chaya is this week's Wednesday with Donna Hay host, and she chose Donna's Soy-Simmered Chicken from Modern Classics Book I. You can also find the recipe here. 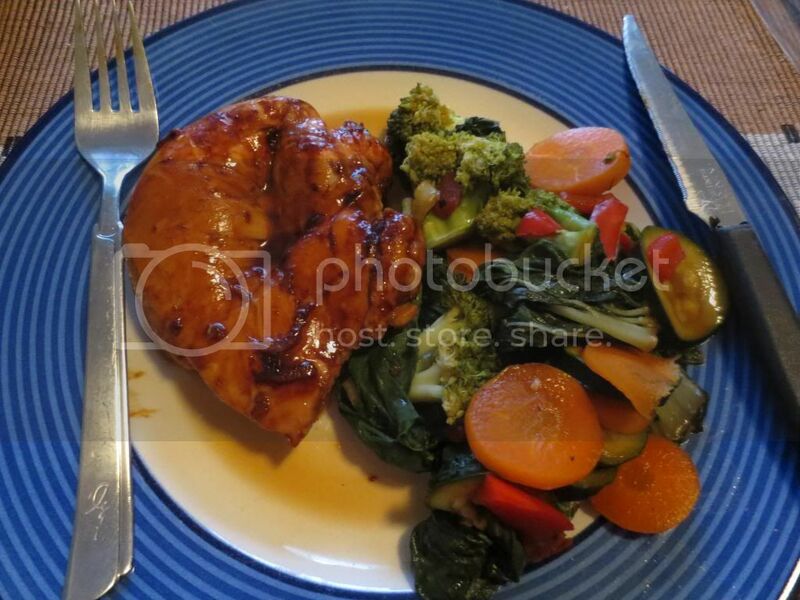 This dish was simple but delicious - the sauce gave a slightly sweet flavour to the chicken. I served my chicken with stir-fried veges. 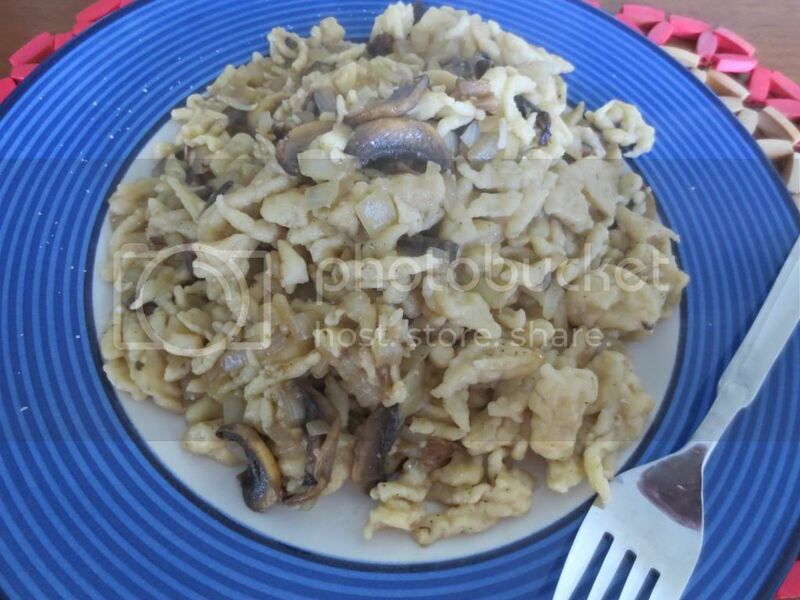 I really enjoyed this dish - it is quick to prepare, tasty and nutritious. To see what Chaya, Kayte and Margaret thought of this dish, visit their websites. I can't honestly say that I was too creative, because I used the recipe provided by Sarah for Raincoast Crisps. However, they sounded pretty good, with their nuts, fruit and seeds (and mysterious name! ), so I thought I would give those a burl. The recipe will be on Sarah's website. However, I did use my creativity in the substitutions that I made. Instead of using pecans, I used brazil nuts, and instead of flax seed, I used LSA. These crisps tasted pretty good. Not all of them were as crispy as they should have been (most likely because of my knife skills, the oven or a combination of both), but they were good. I think Raincrisp Crisps would be perfect with soft cheeses like camembert or brie, but I did not have any in the house at the time of photographing, so you will just have to imagine that. To see what crackers and/or flatbreads the other Daring Bakers made, visit the slide show on 27 February at The Daring Kitchen. Thanks to our host, Sarah, for this month's challenge. It was rather surreal wandering the streets that are normally out of bounds to pedestrians, with such enormous crowds. While I enjoyed the lights, I was left a little puzzled by the White Night festival. There seemed to be an awful lot of people moving very fast in all directions, but I am not sure what we were all hurrying to see. However, the festival was lauded a success, and plans are afoot to repeat the festival next year. 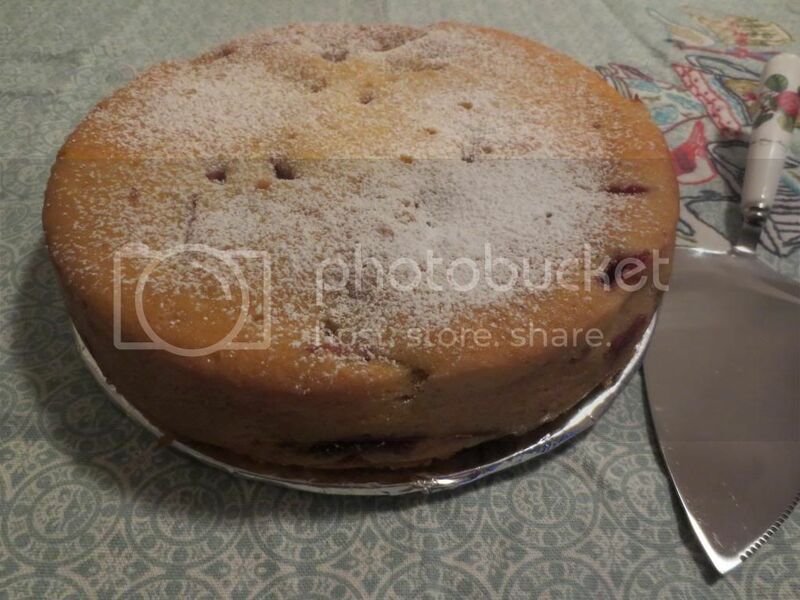 Provided that you are not adverse to polenta or strawberries, I believe that you will enjoy this cake, and urge you to give it a go - hopefully your weather will be kinder for baking than it is here at present. It has been another scorcher in Melbourne today - even though I am a Queensland girl, I am feeling the heat. 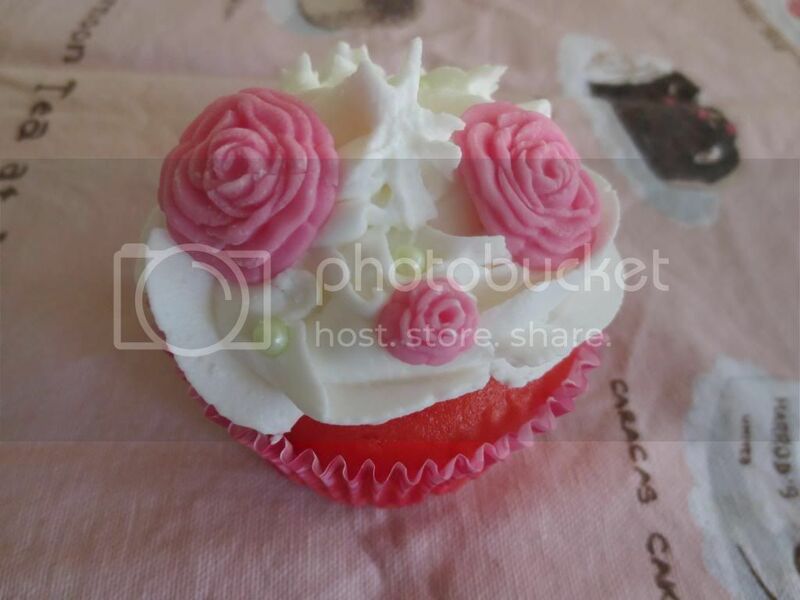 Of course, I chose today to book into a cupcake decorating class!! Luckily, the classroom was airconditioned, so the class offered a short reprieve from the relentless heat that we have been experiencing. Once again, the class was at CW Cakes in Malvern, and the teacher was once again the cheerful Ella. I did not learn any new techniques in this class, but it was a good way to consolidate my existing knowledge and make some cute cupcakes.The base cupcakes were pink and white swirl butter cakes, and the flat fondant iced cakes were prepped with a coating of buttercream. 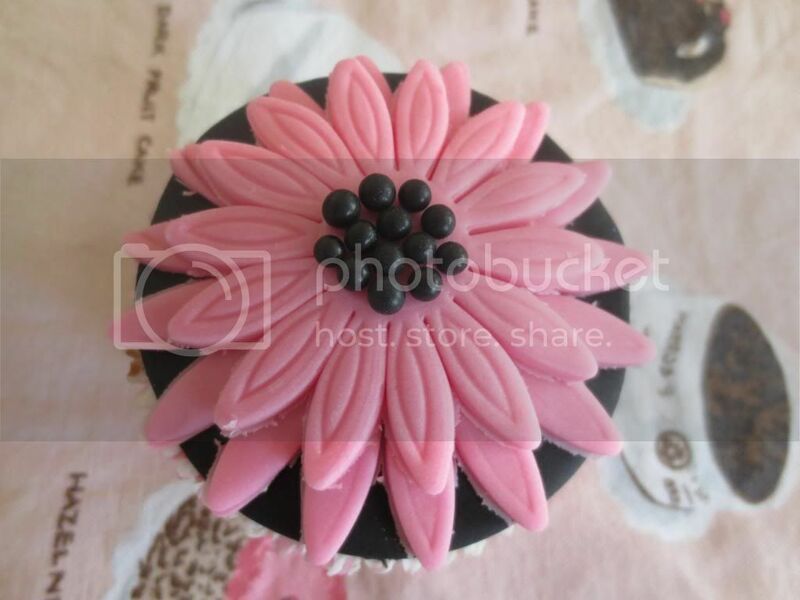 It was a lot of fun doing this class, although I think that to keep learning, I will have to move on from the cupcake classes. 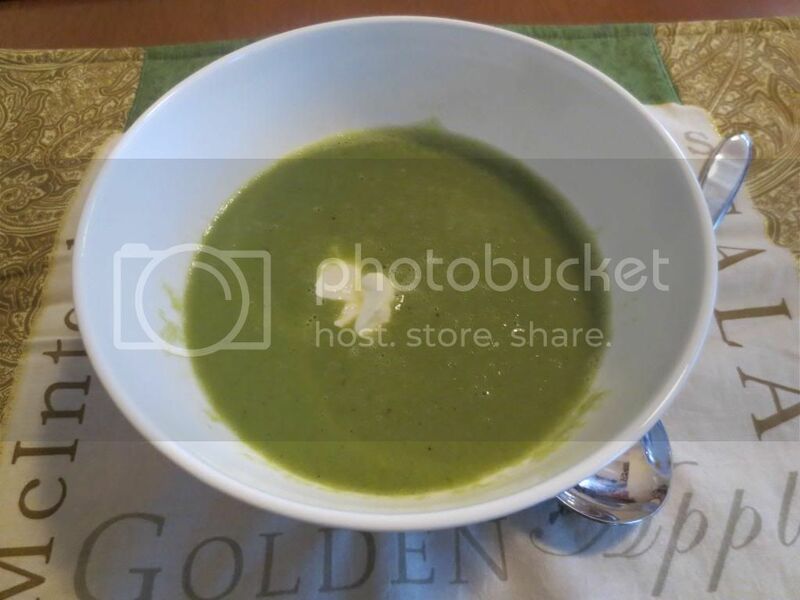 This Friday, Dorie has us cheating on winter with Cheating on Winter Pea Soup - but it ain't winter here, so I couldn't demonstrate my infidelity to the seasons. The day that I made this soup (well, the Thursday night before reveal) was 32 degrees (86F) outside. I was a little reticent about this one - as you know, I am not a soup fan. But again, this soup surprised me, and I quite liked it. I made a half recipe using half frozen and half canned peas (because that is what I had about the house). I had no issues with blending the soup because I just blitzed it in my little-used blender - I had more technical issues with the blender's safety lock than with the soup. It isn't easy being green, especially this olive hue, but don't be fooled - this plain Jane soup is quite delicious. This was a pretty awesome meal. 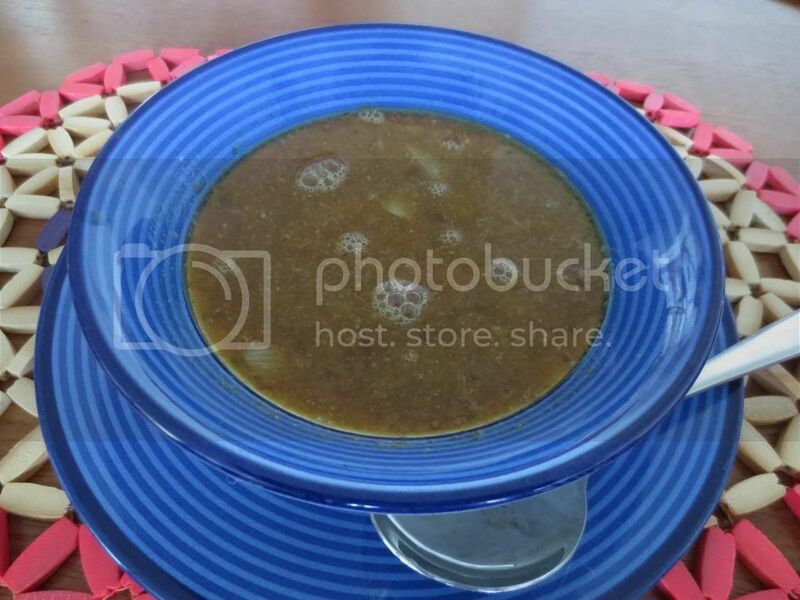 To see what the Doristas thought about this week's soup, visit the LYL section of the website. 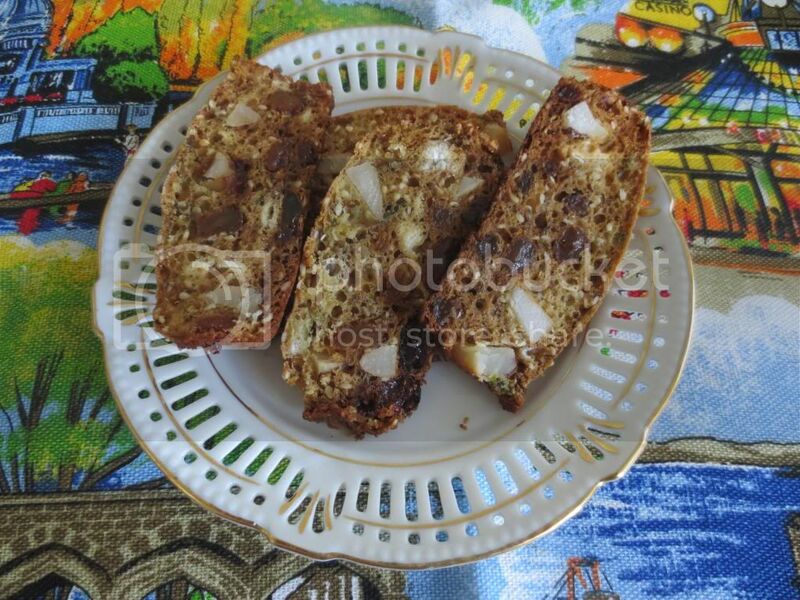 This week's Wednesday with Donna Hay recipe is Food Processor Banana Cake, chosen by Margaret from p160 of Off The Shelf. You can also find the recipe online here. 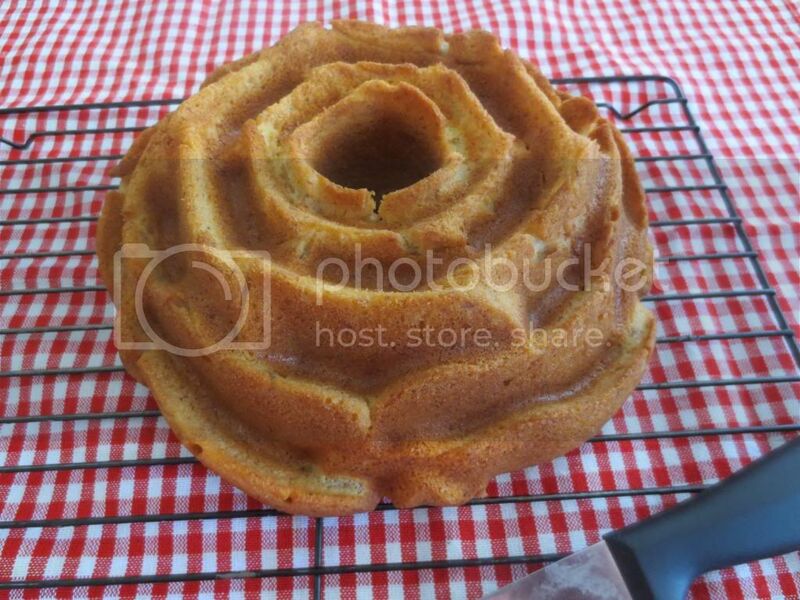 To make this cake is a breeze - you bung everything in the food processor, wazz it up, pour it into a bundt tin, bake and and voila - you have cake in under an hour. I used up some aged bananas that I had stashed in the freezer, and though they looked gross when thawed, they were perfect in this cake. If you need a snack for a child's lunch box, I think this cake would be perfect - it is not too bad nutritionally while still maintaining the treat factor. To see what Margaret, Kayte and Chaya thought of this cake, visit their websites. Last night, I went to see Neil Finn and Paul Kelly in concert at The Palais in St Kilda. It was a stiflingly hot night, but no-one seemed to mind with the class acts that we had come to see. My favourite song was Neil singing Split Enz's Message to My Girl - I was shivering with delight. Other great moments for me were Paul singing Before Too Long, and the Neil-led sing-along of Fall At Your Feet. Magic! This week's Baking with Julia assignment was the very decadent Boca Negra (literally, "black mouth" which is what you will have after taking a bite), hosted by Cathy of A Frederick Food Garden. 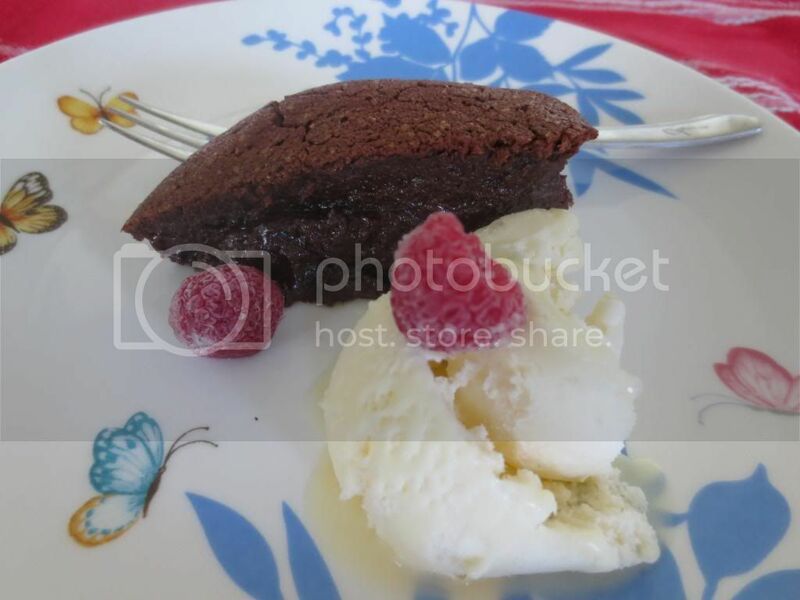 Eat this cake with icecream and raspberries to cut through the dense chocolate. Enjoy! To see what the other Baking with Julia bakers thought, visit the BWJ website. The All Starr Band was comprised of guys from a number of famous bands who played a range of hits from the 70s and 80s. However, for me, the best part was Ringo himself. When I was a little girl in kindergarten, one of the songs we learned was Yellow Submarine by The Beatles. Imagine my delight when all these years later, Ringo led me and the rest of the audience in a rousing rendition of Yellow Submarine! He also led us in A Little Help From My Friends. It was a brilliant evening, and I am so glad that I went. Now on to the cake. 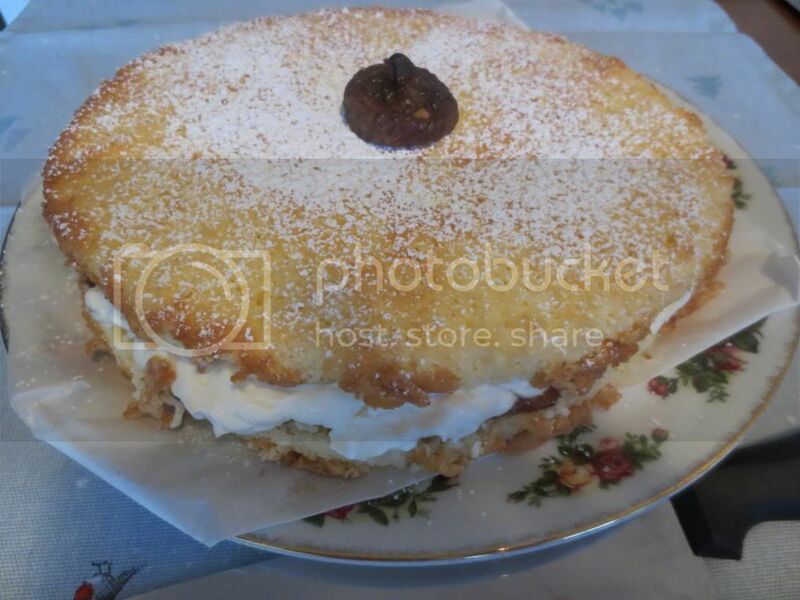 This Mascarpone and Fig Sponge Cake recipe is by Kate Gibbs, and was published in a recent Sunday Life magazine. It caught my attention because it contained two ingredients that I just happened to have on hand - fig jam and mascarpone. This cake is light and delicious, making it a perfect tea time treat. Preheat your oven to 200 degrees Celsius and grease and line a 22cm springform pan. Sift the flour and cornflour together into a bowl. In the bowl of a stand mixer, beat together the egg yolks, 100g sugar and vanilla until thick, then set aside. Beat the egg whites until they start to foam, then add the cream of tartar and beat the mixture until stiff peaks form. Fold in the 2 tablespoons of sugar. Fold a third of the egg whites into the egg yolk mixture, then fold in the flour, and finally, fold in the remaining beaten egg whites. Place the batter into the prepared cake pan, reduce the oven temperature to 170 degrees Celsius, and bake the cake for 30 minutes or until cooked through. Remove the cake from the oven and allow it to cool in the pan for 5 minutes before unmoulding onto a wire rack to cool completely. To make the filling, beat the egg whites until firm peaks form, then fold in the softened mascarpone and the icing sugar. Cut the cake into two layers using a serrated knife. Place the bottom layer cut side up onto a cake plate or board. Spread the layer with the fig jam, spreading right to the edges, then spread the mascarpone mixture over the jam. Place the second cake layer, cut side down, on top of the mascarpone. Dust the top of the cake with icing sugar and decorate with dried figs as desired. Despite this week being one of the most demanding of my working life, I left for work with a spring in my step this morning - because I was off to the post office to pick up my FFwD Valentines Cookie Exchange package from the post office! It arrived right on time on Valentines Day, but unfortunately I did not get home in time to pick it up before the post office closed. but nothing could spoil my excitement at receiving a parcel of cookies all the way from the USA. and beautifully individually wrapped in wax paper were the Dark Chocolate Cookies with Sour Cherries pictured at the top of this post, in perfect condition. These cookies were baked by Maggie from a recipe in Martha Stewart's Cookies book, and they are special to Maggie, as she made them as favours for her wedding. Thanks Maggie for sharing such a special recipe with me. And the taste of these cookies? Absolutely scrumptious! Chunky, deeply chocolatey cookies are offset by the zing of sour cherries, making them just right. Because I opened my package at work, I shared my cookies with a select few people, who were amazed at receiving a homemade cookie all the way from the USA, and all of whom enjoyed them as much as I did. I still have a couple of cookies left for the weekend, just for me. I look forward to eating them very much. Preheat oven to 350 degrees. Line two baking sheets with parchment paper; set aside. In a medium bowl, sift together the flour, cocoa, baking soda, and salt; set aside. In the bowl of an electric mixer fitted with the paddle attachment, cream the butter and sugars until fluffy. Add eggs and vanilla extract; beat until well combined. Add the flour mixture, and beat on low speed, until just combined. Do not overbeat. With a wooden spoon, fold in chocolate and cherries. Maggie also added in some white chocolate chunks. Form balls of dough, each about 1/4 cup; place balls on baking sheet about 3 inches apart. Bake until puffed and cracked, 9 to 11 minutes. Transfer to a wire rack to cool completely. Thanks to Alice of A Cooking Mizer for organising this fun event, and to Maggie for sending me my package. As the name suggests, coeur a la creme tastes overwhelmingly of cream. I paired my coeur a la creme with some raspberry coulis (frozen raspberries and sugar warmed up together until a sauce forms). The raspberry pairing is a good one, as it cuts through the creaminess. Without a doubt, this dessert tasted nice if you are a creamy dessert fan. 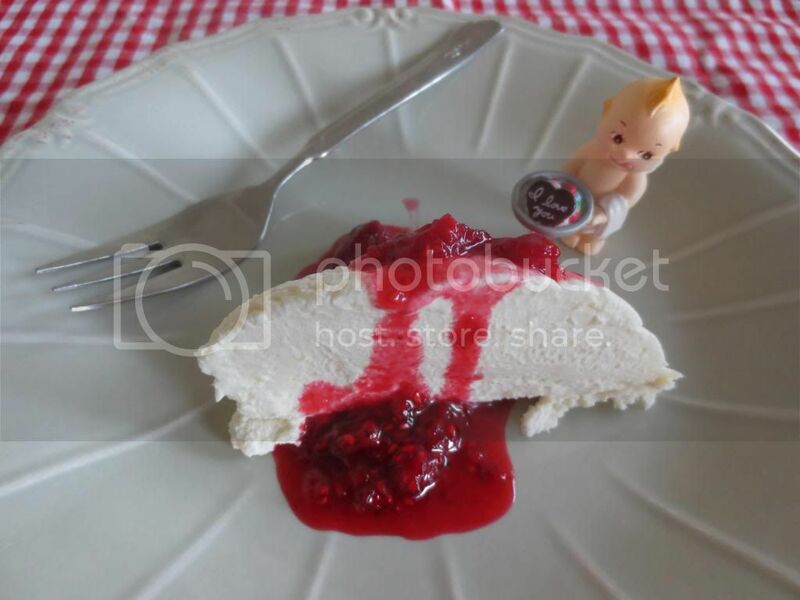 For me, this was just OK, as although I love cheesecake, this dessert erred too far on the creamy side for my liking. However, it got very good feedback at work - proving that I am a fusspot of sorts. Happy Valentines Day!! For Valentines Day, I have made a glorious Double Choc Fudge Cheesecake by Michelle Southan from the February 2013 edition of Australian Good Taste magazine. Isn't it gorgeous? 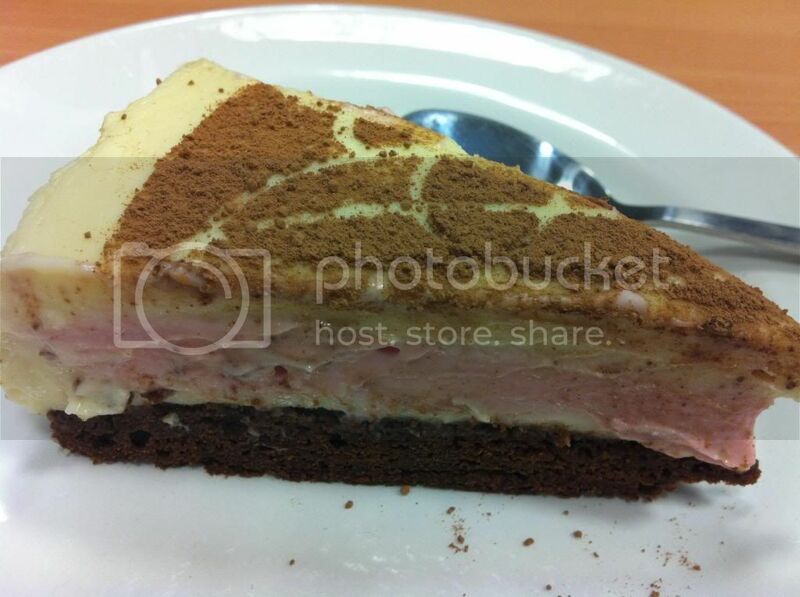 It is a chocolate brownie base, topped with white chocolate cheesecake, then raspberry cheesecake, then another layer of white chocolate cheesecake. Finally, it is stencilled with cocoa using the free stencil that came with the magazine. Bliss! And it tasted as good as it looks. Preheat your oven to 160 degrees Celsius. Grease and line the base and sides of an 18cm springform pan as smoothly as possible with baking paper, so that the paper rises 2cm above the rim of the pan. Heat the water, chocolate and butter in a microwave on high, stirring once every minute, until the chocolate melts and the mixture is smooth. (yes, this sounds like madness, but trust me, it works.) Add the sugar, flours, cocoa powder and egg and mix well. Pour into the prepared springform pan and bake for 30 minutes or until cooked through. Remove from the oven and allow to cool completely. To make the first layer of white chocolate cheesecake, beat together half the cream cheese and half the sugar until smooth. Beat in half each of the cream, melted chocolate and vanilla. Put half the water in a heatproof bowl and sprinkle over half the gelatine. Stir until the gelatine is dissolved, and allow to cool for 1 minute before beating into the cream cheese mixture. Pour the cheesecake mixture over the cooled brownie base, cover the top of the tin with cling film, and place the tin in the fridge for 1 hour to allow the cheesecake to set. To make the raspberry layer, mash the raspberries in a bowl with a fork, then press the berries through a sieve and discard the seeds. Beat the cream cheese and sugar together until smooth, then beat in the raspberry puree and cream. Put the boiling water in a heatproof bowl and sprinkle over the gelatine, then stir until the gelatine has dissolved. Allow the gelatine mixture to cool for 1 minute, then beat into the cream cheese mixture. Pour the raspberry cheesecake over the white chocolate cheesecake layer, cover the top of the tin with cling film, and refrigerate for one hour to allow the layer to set. 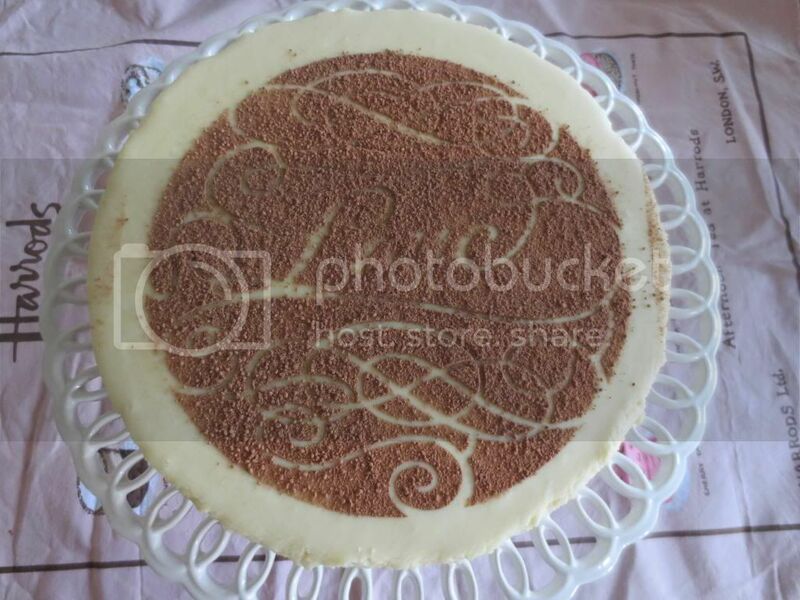 This cheesecake is sweet, smooth and silky, and very dangerous to have in the house. By taking it to work, I could indulge in one decent sized slice, knowing that there would not be another, and enjoy it I did. What are you doing for your beloved this Valentines Day, if you celebrate it? This week's Wednesday with Donna Hay is hosted by Kayte, who chose Donna's French Onion Soup from Modern Classics I. Now, y'all will know that I am not much of a soup fan, and I was kind of hesitant wth this one. I made a quarter of a recipe on Sunday night, enough just for two serves, and put it in the fridge for another day, as I was already really full from late brunch with friends. On Monday night, I reluctantly trotted out half a serve and reheated it for a minute or so in the microwave. Then I had a spoonful - and then another - and by golly, I really liked this soup. Who knew - and especially onion soup?? 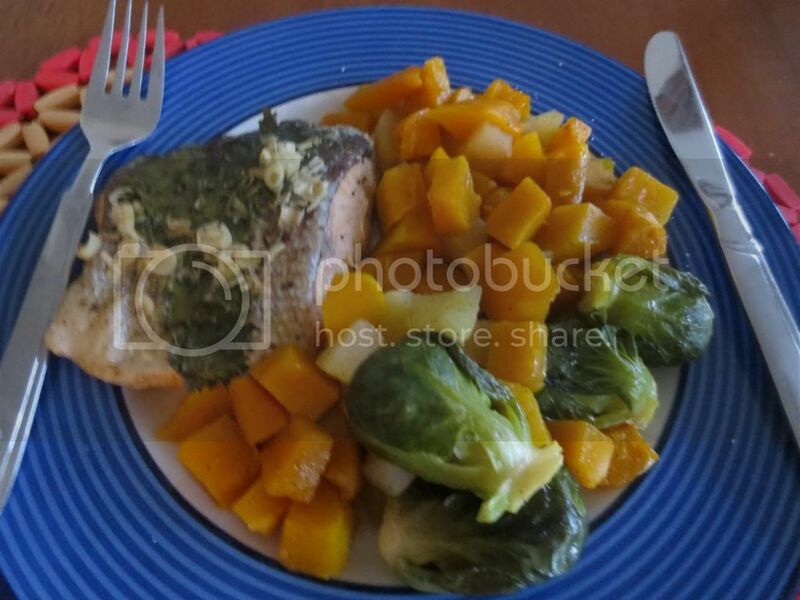 To see what Kayte, Margaret and Chaya thought of this dish, visit their websites. And if you want to join us on our Donna journey, just contact any of us - we are cooking from Off the Shelf and Modern Classics I by Donna Hay. 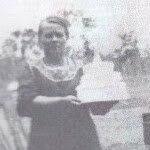 Last week was Rosario's birthday, and of course I had to bake her a cake. The very sad part was that Rosario took the last working day before here birthday off work, so she was not there to enjoy her own cake. But what can you do - the cake had a sponge-like texture and would have been no good by the next Monday. 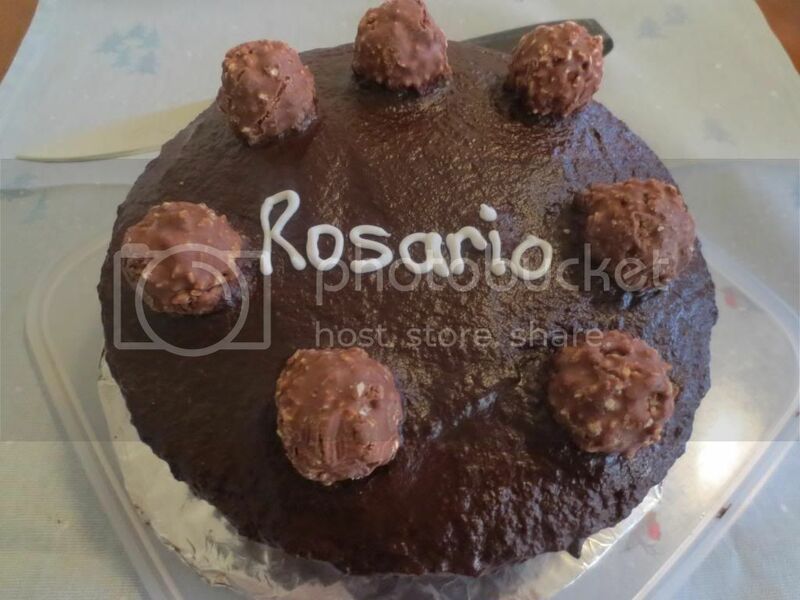 For Rosario, I chose to bake Devil's Food Cake from p133 of Vintage Cakes by Jane Brocket. It is a beautiful book that I found through a recent visit to a bookstore, and I highly recommend it. Place the milk, butter and sugar into a saucepan and stir over a gently heat until the butter has melted and the sugar has dissolved. Take the pan off the heat and add the chocolate, swirling the pan until the chocolate melts, then whisk it until smooth. Allow the frosting to cool for about an hour before using it. Grease and line 2 x 8" cake tins, and preheat your oven to 180 degrees Celsius.. In a large stand mixer, beat together the sugar and butter until smooth and creamy. Add the eggs, beating in one at a time. Sift the dry ingredients together into a bowl. Fold in half the dry ingredients into the butter mixture, followed by half the coffee-milk mixture. Repeat with the remaining dry ingredients and liquid ingredients. Divide the cake batter equally between the two cake tins, and bake for 25 minutes or until cooked through when tested. Allow the cakes to cool in the tins for five minutes before unmoulding onto a wore rack to cool completely. Series three of Downton Abbey started here tonight - I was so excited. It was great to finally see Matthew and Lady Mary walk down the aisle. I wasn't so sure about Lady Mary's dress though - I thought it was a little too dowdy. Thank goodness it's Friday again - my week has been out of control, and the number of rabbits being pulled out of the hat lately is ridiculous. I look forward to the weekends, when I have some control over my own destiny. This week's French Fridays with Dorie recipe is Fresh Orange Pork Tenderloin. I can hear the people who hate meat and fruit together moaning in disbelief, but this was actually a rather delicious dish, with strips of pork tenderloin served in an onion and orange juice sauce, with orange segments. It is fairly quick and easy to make, with segmenting the oranges being the most taxing part of the exercise. Dorie says this dish can't be reheated successfully, but I did the next day and it tasted just fine. 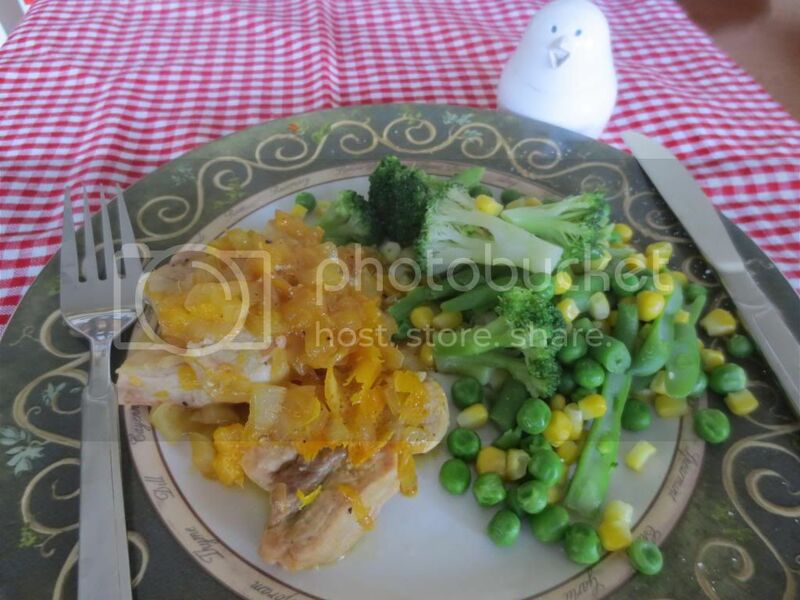 I served this dish with steamed veges, and found it to be a rather nice, light meal. 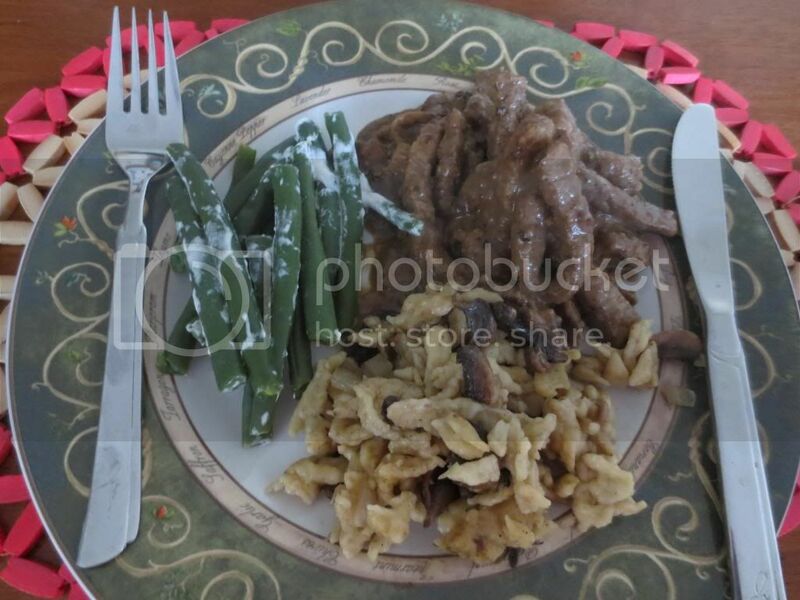 To see what the other Dorie cooks thought, visit the LYL section of the FFwD website. 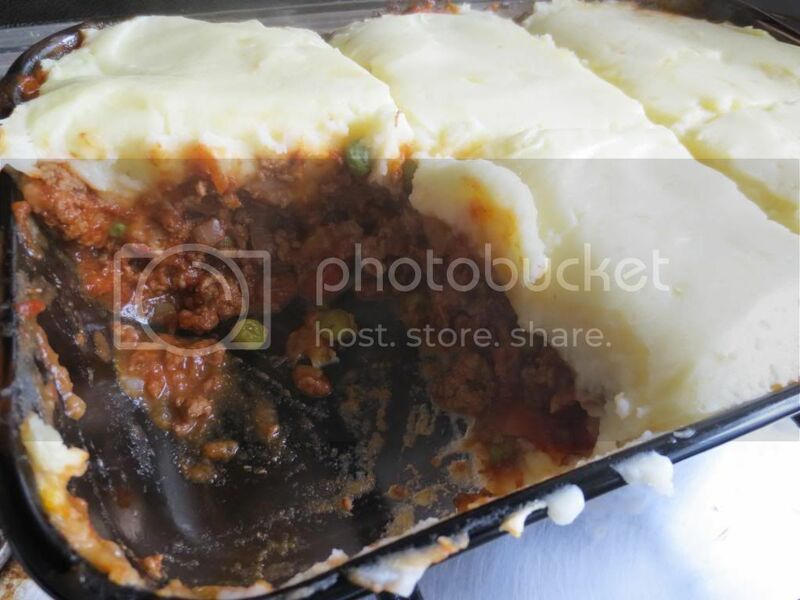 It's Wednesday again, and this week's Wednesday with Donna Hay recipe was Shepherds Pie, chosen by yours truly. A number of people have preceded us, so you can for instance find the recipe online here. I liked the rich, red meaty sauce topped with cheesy potato. I also liked that this is a complete meal in itself, as it contains peas, carrots and onion. My Mum doesn't put herbs in her Shepherds Pie, so I found the thyme and bay flavours a little odd, although not unpleasant. Just like Mum, I added a dash of hot suace (Worcestershire sauce) to the mince for extra flavour. This dish is a keeper. This week's Baking with Julia challenge is Foccacia, and our host is Sharmini of Wandering Through. I made only a third of the recipe because I didn't want all of that bread just lying around. 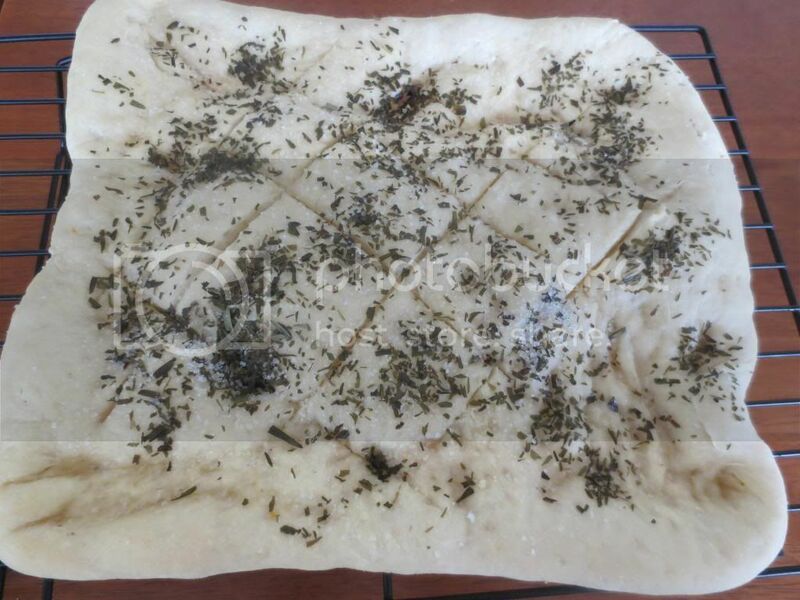 I sprinkled my foccacia with dried tarragon, as fresh herbs are expensive, and Persian blue salt that I bought out of curiosity at Gewurzhaus. In the end, it didn't taste any different to ordinary salt. On day 1, the foccacia was delicious - crisp and chewy and flavoursome. However, the foccacia didn't last well, and tasted stale the next day, which was a little disappointing. 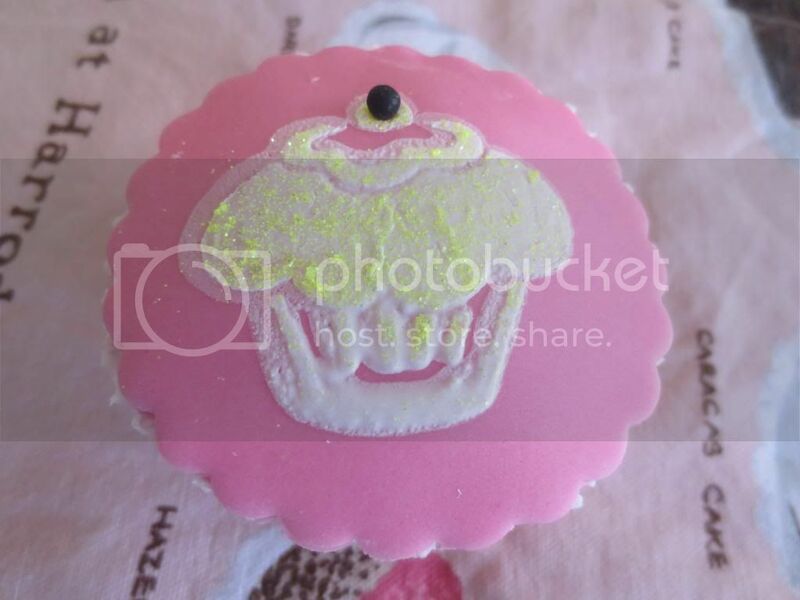 To see what the other bakers thpught of this recipe, visit the LYL section of the Baking With Julia website. It's Friday again, and for French Friday with Dorie this week, our recipe is brown sugar squash and Brussels sprouts en papillote (ie veges in a bag). The recipe is to chop up butternut pumpkin (I used Kent pumpkin as there were no butternuts at the supermarket) and apple, toss with Brussels sprouts, olive oil, salt and pepper, sprinkle with brown sugar, then steam in a foil bag in the oven for 25 minutes or so. This was a delicious dinner, and quick and easy to make. To see what the other Dorie cooks thought of brown sugar squash and Brussels sprouts en papillote, visit the LYL section of the website.